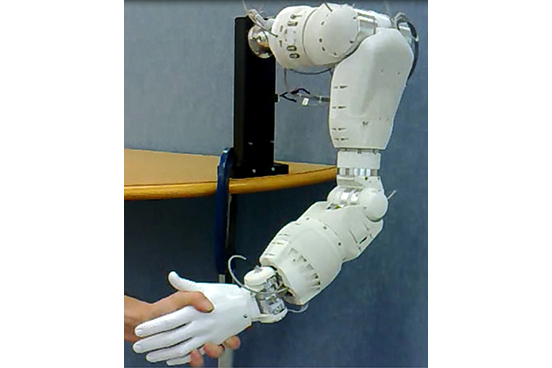 The Elu2-Hand was a human-scale anthropomorphic robot hand able to approximate real hand movements at humanlike speeds, makes it ideal for interacting with people, and also the diverse range of tools and objects in our environment that are designed around the ergonomic principles. 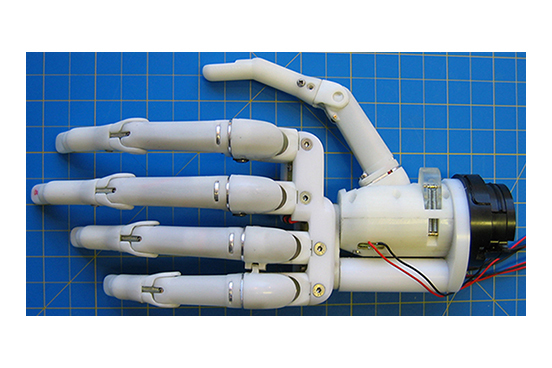 The robot hand has 9 degrees of freedom that are servo actuated within the hand’s volume. The hand achieves many life-like actuations through linked movements, such as; cupping of the hand and combined knuckle flexion. Whilst originally designed to fit onto the Elu2-Arm, the compact design means it may be fitted onto the tool-plate of many different robot arms. Rapid prototype technology was used in the first 2 versions of the hand which proved to be adequate as a means of building high level prototypes, but which did not have the longevity or strength to be used in a production item. After building the second version using SLS (Stereo Laser Sintering) methods it soon beacame apparent that for us to be able to pitch the hand successfully to stakeholders and/or investors, a production method was required that would provide a level of accuracy and robustness currently unacheivable from rapid prototyping methods. Consequently, we built a batch of 5 hands from machined aluminium utilising 5 axis machining. This proved to be a wise course of action and the hand was licensed to a second larger company who were better placed to promote, build and provide after sales customer support. Further work has continued in relation to the robot hand with development work being carried out on an Exo-skeletal glove allowing the wearer to operate the robotic hand remotely from distance. 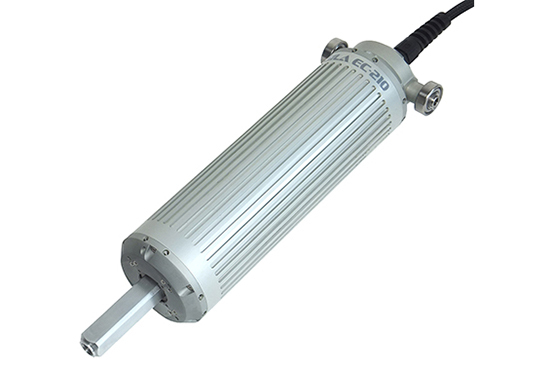 This could prove especially beneficial to hazardous environments such as bomb disposal and nuclear handling.